Now more than ever, companies are turning to online advertising to attract new business. But if you're just starting out, knowing how much to spend can be a little unclear. That is why I have put together this easy guide to help you calculate a PPC budget. The first thing to do is research keywords that relate to your business offering and determine on average how much it will cost to bring a visitor to your website. You can find a number of keyword research tools online. Since we're calculating an AdWords budget, start with Google's Keyword Tool. Once you have a solid list of relevant keywords, use the Google Traffic Estimator to get an idea of how much a click will cost on average. 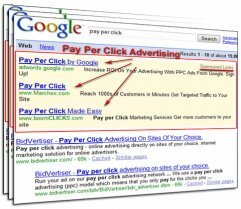 Set the Max CPC where the average ad position falls between 1.5 and 3.0. If you set your average CPC too high, Google could provide an estimate for a click in position 1, which might not be necessary for your business. The percentage of visitors to your website who take an action you consider valuable to your business. Popular actions include a visitor signing up for a newsletter, buying something or filling out your Contact Us form. A Digital Marketing firm can provide insight on this metric if you don't know. Let's assume 1 out of every 10 visitors to your website fills out the Contact Us form. Your website's conversion rate is 10%. Impressive...must be that great content!! The percentage of leads that turn into a sale. Let's assume 1 in every 4 leads turns into a sale. Your average closing rate is 25%. Equally as impressive!! Let's assume the Traffic Estimator projected a $5 average CPC. We determined your website converts at 10%. Since you will still have to pay for the 10 visitors, it will cost $50 per lead. Let's assume your sales team has the capacity to handle 100 leads per month. Your online advertising budget should be $5, 000 per month. Now that you have your budget, plug in your average closing rate and calculate how many leads you could turn into sales. Finally, calculate how much revenue you could make. Let's assume each sale is worth $1, 000.